A few weeks back, Natalia showed me one of her favourite bands, TRANSFER. I’m glad she did because their music is rather good! She not only displayed her love for them by showing me their music, but she adores them so much she sketched band member Andy Ridley. We were able to ask TRANSFER some questions about their new album Future Selves and some other interesting topics, so take a look! AMBY: What have you guys been up to lately? TRANSFER: After our last tour with the Kaiser Chiefs we switched gears to writing/recording mode. We had a lot of new music ready so we’ve spent the last few months in the recording studio here in San Diego, working on the next album and dialing the new songs in. We will be playing a handful of shows on the West Coast to test drive some of the new material so we’ve been getting prepared for that as well. AMBY: Where would you say is your strongest fanbase aside from the San Diego area? TRANSFER: The UK has been a good spot for us as we spent a good deal of time there last year but we always refer to our shows in Poland as our best crowd response! AMBY: What are your favorite songs from Future Selves and why? TRANSFER: Personally, I am partial to the songs on the record that have more orchestral elements to them. Being a four piece is great in a performance sense as it keeps the rock and roll dynamic but experimenting with strings and horns gave a different life to the album and added another layer of depth and texture to certain songs. Deerskin, Get Some Rest, Like A Funeral…these songs are my personal favs. AMBY: What is the most memorable moment you have had while touring? TRANSFER: There have been a lot of memorable moments but I would have to say that having the opportunity record at Abbey Road Studios for “Live From Abbey Road” and Paul McCartney walking into the room has to be the most memorable moment for me. I was nervous to be in the same room he recorded in forty years ago, let alone having him randomly show up and meet us. I still have a hard time processing how surreal of an experience that was. AMBY: What’s your proudest achievement to date? TRANSFER: The Abbey Road thing was pretty monumental for us as a band. AMBY: Andy, what’s up with the glasses? Natalia needs to know! TRANSFER: That was before Andy got contact lenses. His eyesight was pretty poor. AMBY: Losing Composure is a very cool song, what is the story behind the song? TRANSFER: It’s a story of a schizophrenic mental patient who believes he’s a cosmonaut sent on a mission from Earth to discover life on another planet. Halfway through his journey he snaps into reality and realizes he has been hallucinating the whole time. It’s kind of a weird concept but I thought it was interesting so I had to run with it. We actually had a pretty cool video concept for this one…maybe we will get to it one day. TRANSFER: A whole host of Beatles albums changed my life but Sgt. Peppers was the first. Led Zeppelin I and Willie Nelson’s Red Headed Stranger all devastated me as well. In the best way possible, of course. AMBY: Matt you seem to enjoy having contact with your fans via social media like Twitter or Instagram. How important do you think social media is to a bands success nowadays? TRANSFER: I think it’s very important. We rely on our fans support more than anything so to be in direct contact is a great way to keep it moving forward. It’s cool to see photos from shows, illustrations, cover versions of our songs…all the things that inspire people to share their experience. it really allows us to see what we do from another perspective. It’s also been great to get to know our fans better. It’s rewarding to be closer with those who really appreciate and are genuinely enthusiastic about what we do. It really stokes the fire. We all pay attention and are listening. TRANSFER: Apart from writing and recording music, I’ve been hitting the beach more since we’ve been at home. I’ve also been getting into photography over the past year as well. I really enjoy getting creative with the visual aspect of it. I have also found that inspiration outside of music now and again helps keep things interesting. AMBY: What food you like to eat while on tour? TRANSFER: That depends on where we are. I will say that we have had the best meals at some of the venues we have played. We normally are on the road, traveling between shows, so you tend to find that frequent road-side stops have you eating pretty poorly if there aren’t many options. There’s nothing better than showing up to a catered venue to an amazing “home cooked” style meal. Oh, and so are the 2am drunken kebab stops. TRANSFER: Elephant by Tame Impala has its hooks in me at the moment. So damn good. AMBY: And lastly, what’s something about TRANSFER that nobody knows yet? Also – We travel with a life size, fake crow named Reginald. 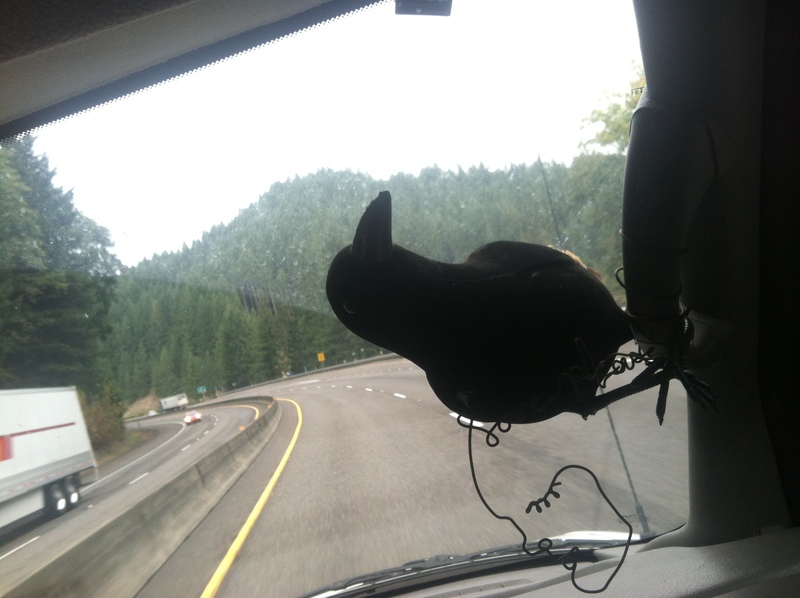 He’s mounted to the dashboard of our van. Their latest album Future Selves is available now on iTunes, and it’s a really lovely album. 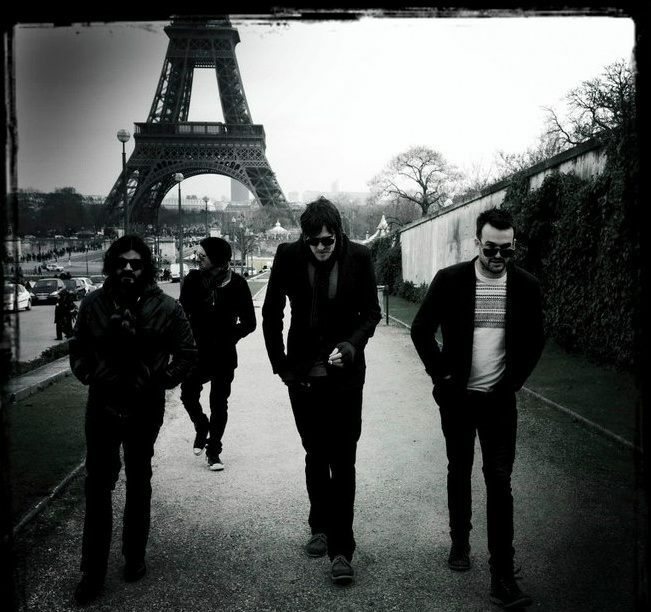 We especially enjoy the album’s opening track Losing Composure, so lend an ear to the song below! And of course, thank you TRANSFER, for giving us your answers!